Home Be Bay Friendly Archive for category "Rain Gardens"
Read more"Multi-State Version of Rain Garden App Now Available‏"
Are Rain Gardens Mini Toxic Cleanup Sites? Article on the fate of pollutants in stormwater runoff, especially how rain gardens operate to capture pollutants and prevent them from entering our waterways. Read more"Are Rain Gardens Mini Toxic Cleanup Sites?" This interpretive graphic demonstrates what the main components of a rain garden are and how a rain garden operates. Rain gardens are a fun and inexpensive way to improve water quality and enhance the beauty of a landscape. This video shows how to add native plants to your rain garden. 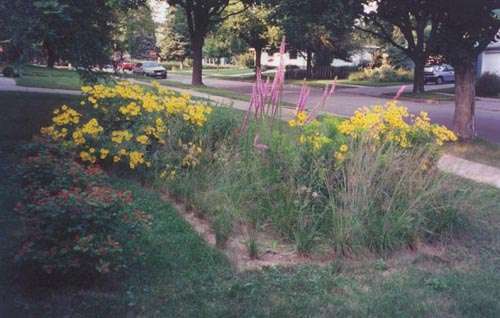 Read more"Native Plants in Rain Gardens"
A rain garden decision tree tool to help individuals decide which type of rain garden should be installed at a specific site. Decrease your impact on stormwater and the Chesapeake Bay by farming your yard for habitat and runoff reduction. 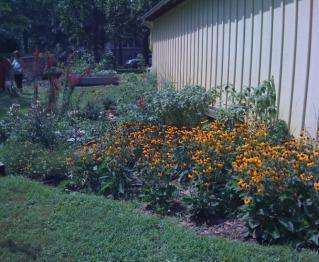 Read more"Becoming a Habitat Farmer"
You can achieve a form of Chesapeake Bay enlightenment and have a respectable looking yard by doing virtually nothing at all. Read more"The Zen Guide to Bay Lawn Care"